The University of Wisconsin men’s hockey team has gotten off to their best eight-game start since the 2010-11 campaign, and there is no sign of them slowing down either. The Badgers ranked fourth in the nation in goals per game for the month of October, and have been exceeding the expectations of Badger nation since day one. 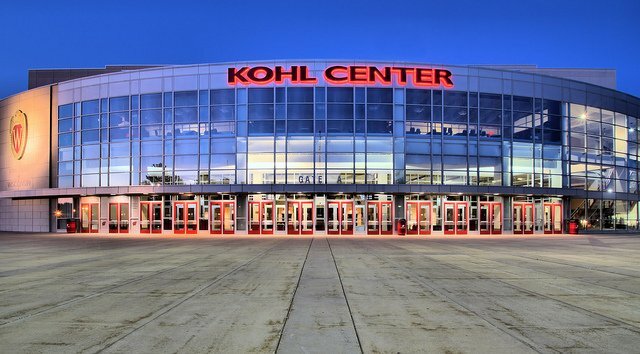 Yes, it is apparent that a new era of Badger hockey is coming to life right before our eyes and, at the heart of this fresh start are the young stars who have taken Wisconsin hockey by storm. 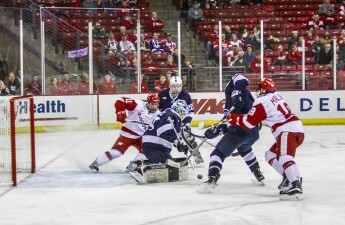 The Badgers feature a host of young talent all over the ice. The list of skillful younger players of sophomore and freshman status is nearly endless when scanning the Badger’s roster. At the heart of the youthful offensive attack are three of the top five leaders in points for Wisconsin. Topping the list is freshman phenom, forward Trent Frederic, who has lit up the ice in his first eight games as a Badger. Sophomores Seamus Malone and team captain Luke Kunin are not much farther down the list, currently tied for the third spot. 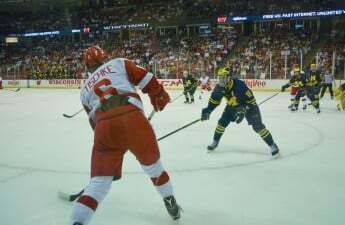 Drafted 29th overall by the Boston Bruins in this year’s NHL entry draft, Frederic has been nothing short of sensational for the Badgers. The freshman is also sitting fourth when it come to total points recorded in the Big Ten. “We knew coming in he’s extremely highly skilled, he’s played international level with the U.S. development program, he’s a big kid that’s got a lot of offensive upside,” UW head coach Tony Granato said regarding the freshman star. Alongside Frederic on the front line are sophomores Luke Kunin and Seamus Malone. Kunin was taken 15th overall in the 2016 NHL entry draft by the Minnesota Wild. Kunin was elected UW’s team captain prior to the start of the season after a breakout 2015-16 campaign. Granato had high remarks for the sophomore forward and rightfully so. Kunin not only leads through his play, but also through his presence in the locker room, during workouts and on the ice. The head coach did have some concerns on the backend off the ice coming into the season with little depth and experience, but Granato has been more than pleased with his youthful defensemen overall. One of those dominant defensemen is sophomore Peter Tischke. 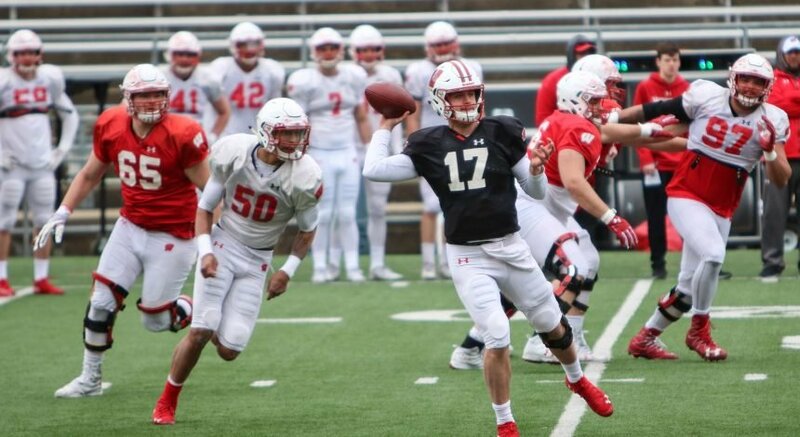 Tischke has been somewhat of a surprise this season, bursting onto the scene and being one of the many reasons that the Badgers have had such a successful start. Granato is confident that if his defensemen can continue to grow, the team’s balance and depth will be a huge advantage going into winter break. “The growth and some of the defensemen’s play has been outstanding. Tischke is one that I can flat out say his game each and every day he’s on the ice finds a way to get better and show us more,” Granato said. A team so young can often go through some serious growing pains. It’s not to say the Badgers have skipped that learning curve, but the team has undoubtedly exceeded expectations in that area thus far. “Everyone’s working hard, everyone’s, you know, coming to work every day and clicking in practice and putting in the work to be successful out there on the ice,” Kunin said. The young athletes on this Badger team are hungry and determined to win, but we can’t forget about the veterans of the team who know what it’s like to lose. Players like senior Grant Besse and junior Cameron Hughes both faced the woes of the last two seasons and have contributed greatly to the success of this young team. “They’re great leaders, they’re working hard every day and I think that trickles down to the rest of the team,” Kunin said. With the hiring of experienced coaches, a solid veteran presence, and an outstanding group of young players, the future of Badgers hockey is bright. “We’re going to be contending for National Championships every year, I don’t doubt that for a second,” Malone said. This team is yearning to win and every player is all in. The only thing Badger fans can do now is sit back and enjoy the ride.